Hello lovely bosses! We have some exciting news to share with you today. Over the last month, Elise and the Ringlet team has been developing Ringlet Studio's first group coaching program, Marketing Made Simple! As you know, our mission at Ringlet is to empower as many women entrepreneurs as possible. Though our flagship package, The Simple Solution, we help business owners to bring in more revenue and increase their profits through their online presence. BUT we noticed that their were some entrepreneurs who just weren't at the point in their businesses where they could afford to work with us on a 1:1 basis on our usual three-month retainer. We brainstormed how we could work with those entrepreneurs who still wanted to learn how to master their business marketing. Our solution? A group coaching program! What is a group program? 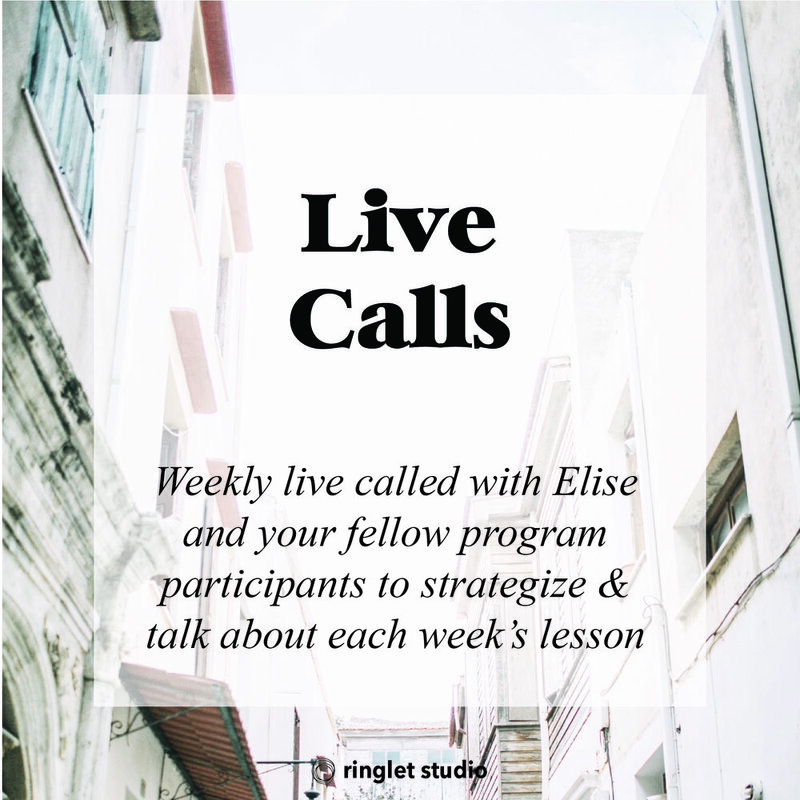 In Marketing Made Simple, you will join 11 other women entrepreneurs for six weeks of coaching with Elise, Founder and CEO of Ringlet Studio. Throughout those 6 weeks, March 6th to April 14th, Elise will walk you step by step in setting up effective marketing systems for your business. You'll learn everything you need to know to grow your business online so that after those 6 weeks, you can run your new strategic and effective marketing on your own. We'd love for YOU to be one of the 15 incredible entrepreneurs who joins us for Marketing Made Simple. Registration opens today and closes February 24th. Click below to learn about a fun incentive ending THIS FRIDAY!